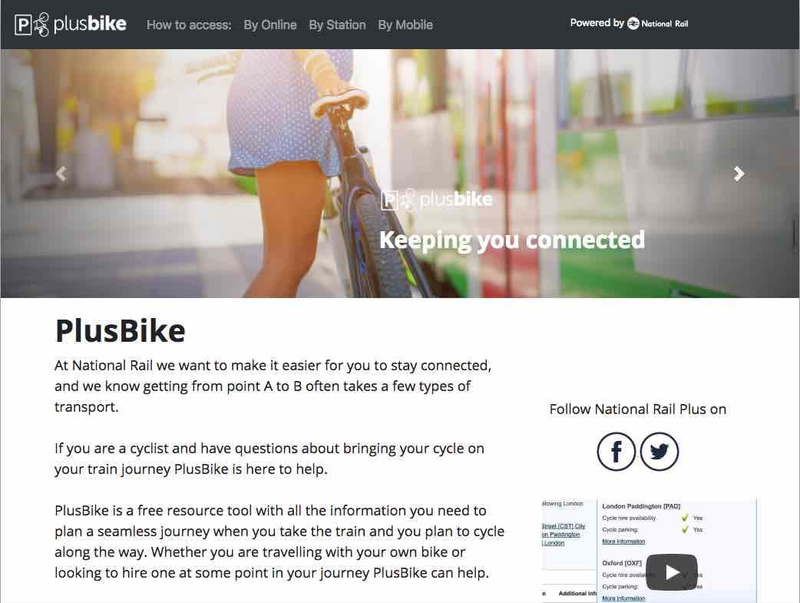 I was the lead designer & developer on the project, tasked with redesigning the current “nationalrail.co.uk/plusbike“ page and making it responsive so users of all device types can have a great experience of the page. I hard coded the HTML template and designed the page. 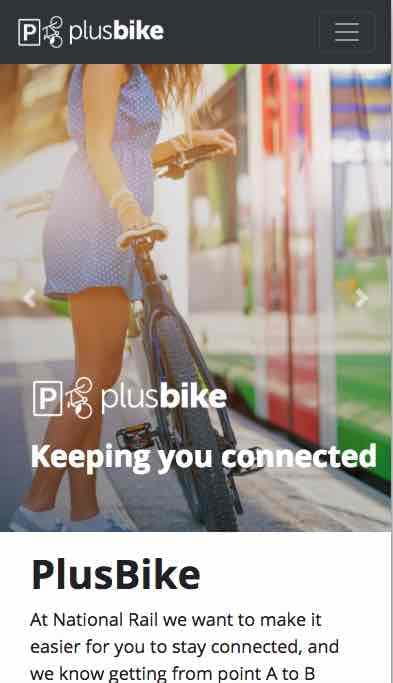 Lots of users were complaining about the usability of the “PlusBike” page on the National Rail site (NRE) as they mainly browsed this page using a mobile device. Most of the NRE pages were not designed for mobile and are not responsive, there’s currently over 100k visits to the page. That is a huge amount of users to push through a poor experience. The new website was designed on a separate architecture from the National Rail Enquires (NRE) website. The NRE CMS was old and wouldn't allow for a custom built template to be developed in time. 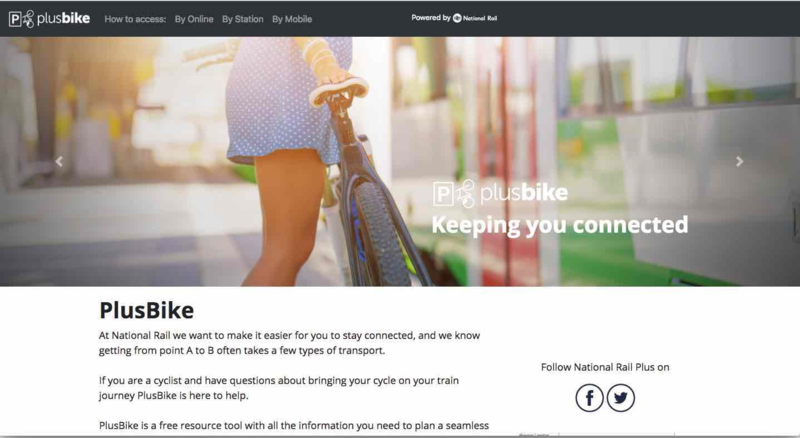 We opted to use the NRE domain "nationalrail.co.uk" but create a subdomain for it to have the strong NRE SEO presence carried over to the plus bus site. 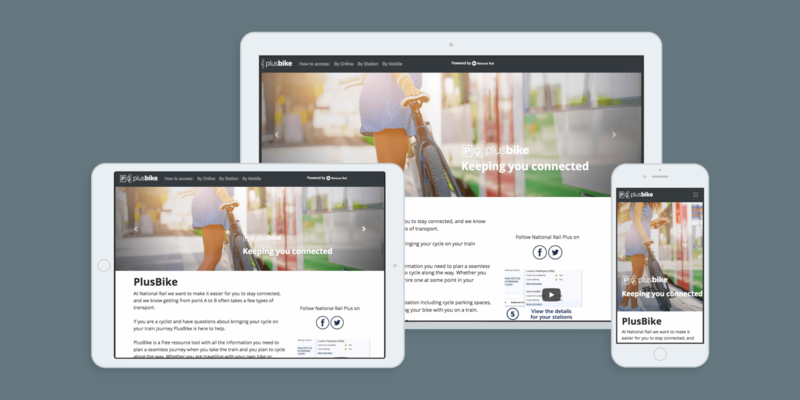 My new design was coded with HTML & CSS using bootstrap 4 to quickly build the template. Using bootstrap allowed for the site to be made in less than two days and quick modifications could be done with CSS classes to suit our needs. The site is now responsive on all devices and much more focus can be put into improving the overall experience of the page for users.